Makeup and beauty !!! : The Goodies I won From Glitter & Gorgeous Blog and From I AM GIRLY BLOG !!! The Goodies I won From Glitter & Gorgeous Blog and From I AM GIRLY BLOG !!! Here are the goodies i won from Rekha Of Glitter & Gorgeous Blog. She sent me this lovely Maybelline Color Tattoo Of my choice in Shade "Bold Gold". And At last She sent me a lovely note too. A big "THANK YOU" to Rekha to send me this Maybelline color Tattoo along with some really nice goodies !!! 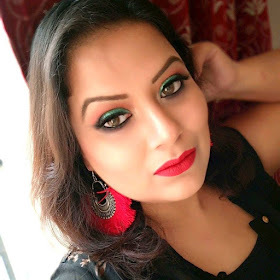 Next Is From Iswarya Of I AM GIRLY blog. She sent me a nice Cream ! I hope you all like my Post.